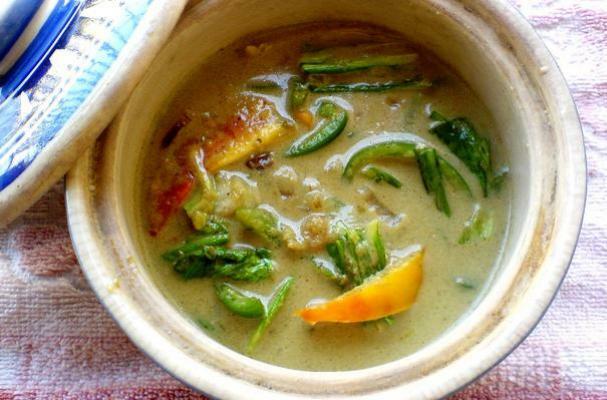 Coconut curry with peppers, bok choi and tomatoes from Rawk Me is a fragrant vegetarian meal. The smell of chili paste, coconut cream and curry paste is enough to lure you to the kitchen and cook. This meal only takes 20 minutes to make and is perfect with a side of Basmati rice. If you want to boost the protein, you can add cubes of firm tofu.